Welcome to Costa Teguise Golf, a golf course surrounded by the spectacular landscape of the island of Lanzarote, declared biosphere reserve by UNESCO. This is a fantastic course, not only because of its design but also thanks to the excellent condition in which it is kept all year round. The course runs along the side of an old volcano, set within an inspirational landscape of volcanic lava, cacti and palm trees. The course is designed to be both smooth and varied. 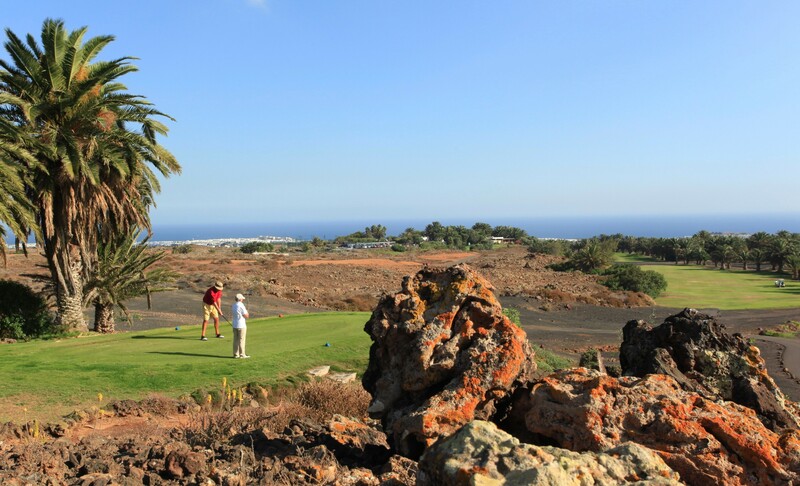 Its numerous doglegs stimulate players and require them to bring all their clubs into play.The “picon” (volcanic sand) and the wind add an extra ingredient to the pleasure of playing each hole. It even represents a challenge for professional players, whilst offering an attractive and enjoyable game for those of more modest skills. 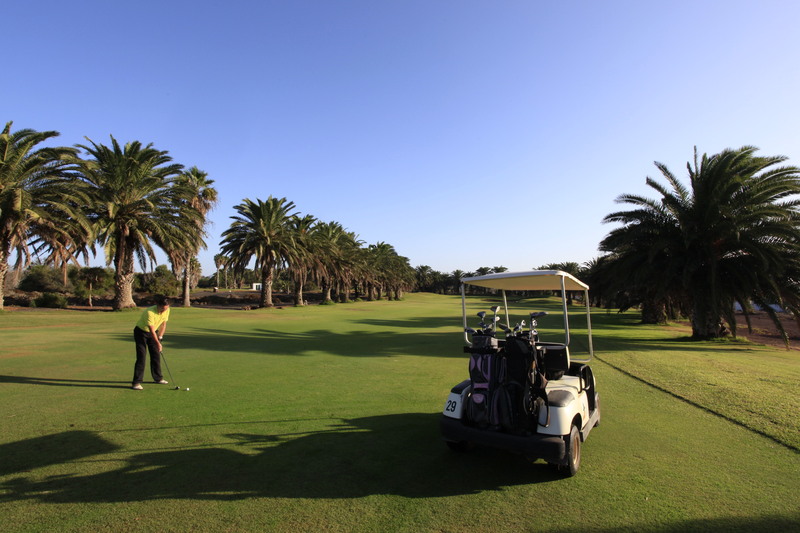 The fairways are surrounded by over 3,000 palm trees and there are breathtaking views of the Atlantic Ocean. In addition to its privileged location, it benefits from a warm and pleasant climate all year round, which is tempered by a sea breeze from the island’s almost constant trade winds. Near the club, no further than 50 meters away, you will find a Drive Range, putting green, pitch and putt and a par 3 hole to practise.